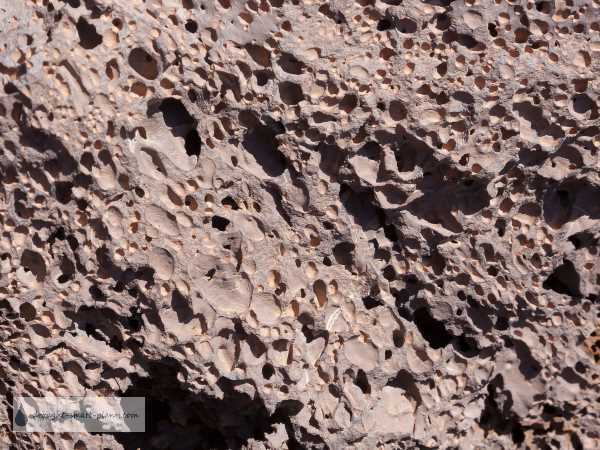 Pumice, like lava rock, is formed by volcanic activity. It is created by the violent mixing of magma with gases escaping from the volcano, making it frothy. When it cools, the gases are trapped inside the hardened rock, making it light enough to float. In the ocean, rafts of pumice have been seen floating in the currents, sometimes with plants growing on them! 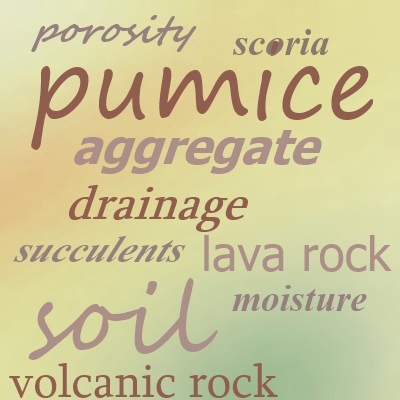 Huge beds of pumice exist near long extinct volcanoes and are mined for use as cosmetic tools (pumice stones) and in horticulture as a soil additive. 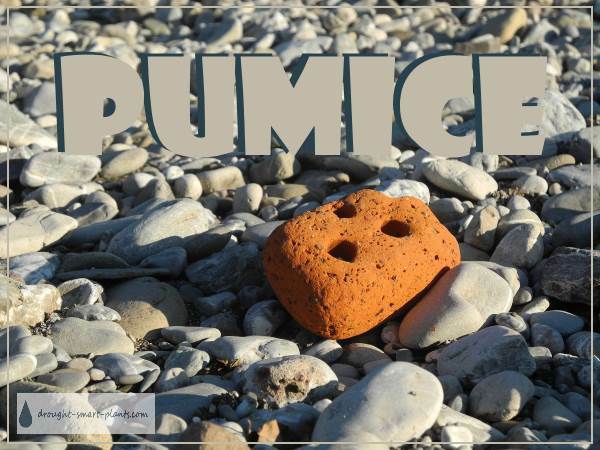 Pumice has the quality of adding drainage to high water capacity materials such as peat or coir fiber, due to the tiny air pockets trapped inside it. Propagation mixes typically contain a high proportion of pumice and other aggregates; the roots come up against them and divide into many more smaller rootlets, adding to the total area of roots available to take up nutrients. This enables a cutting to get going faster than if it made just one big root. See more about roots and how they grow here. I’ve used pumice on its own to propagate some very finicky plants such as Daphne cneorum, and added it in large amounts as much as a third by volume to soil mixes for some conifers and ericaceous plants which are notoriously hard to root due to root rot in high water retaining mixes. Available in many colours depending on the chemical composition of the volcanic rock that forms the pumice; in most cases it ranges from dark charcoal grey to a whitewashed pale grey colour.